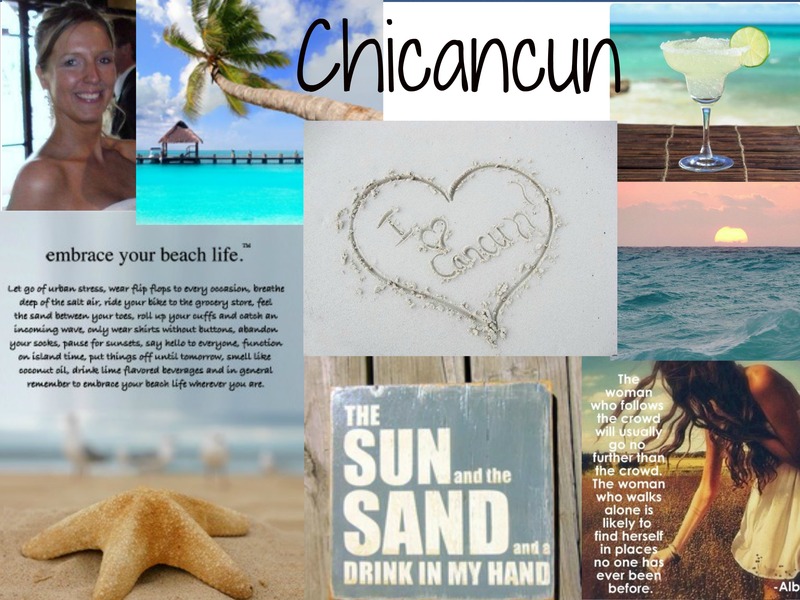 Chica from WI moves to Cancun!! So the question of the day/week/month/year for me is…what do I want to do when I grow up? For some people, this is a relatively simple question. For others, it just seems to magically fall into place and for many people, things just happen…I think I’ve fit into all the categories somewhere along the line, but now it’s different. I don’t want to waste time doing something that is so-so or just pays the bills. I don’t want a job that just seems safe and that is not challenging. I also want a job that I want to learn more about it everyday, where it doesn’t seem like a “job.” I’m not obsessed with earning big bucks, although that would be nice! My main focus is for me to love my job and have a passion for whatever I’m doing. Sometimes people get so caught up in doing what is easiest, doing something where they don’t have to move, or doing something where they don’t have to go back to school. I don’t care about any of those things. In fact, I’m willing to do something a difficult, move, and go back to school if I need to. After all, the best things in life don’t come easy, right? Love this post. This is just another phase of your adventures Cancunense. Do you know how many people in that town leave jobs and start new ones and are searching for that opportunity? Countless! Good luck figuring it all out. There are many others in your shoes. Thank you! I’m glad you like it! I wasn’t sure about this whole blogging thing at first, but now I enjoy it and I love getting feedback(as long as it’s not negative) 🙂 You’re right, it’s just another phase in my life. It’s nice to know that I’m not the only one trying to figure things out. Just delete those negative Nellies if you come across any. Blogs are all about sharing life’s ups and downs and you’re doing a great job of it! Looking forward to your next post. Thanks so much! Yes, for the most part, everyone has had nice things to say! I know there are always those people that want to put others down… it has been very gratifying to write on here and I must do more! Thanks for your uplifting messages! an expert in this house to unravel my problem. May be that is you! Thanks so much for your compliment! I’m not sure what you mean…you want me to write on your website?